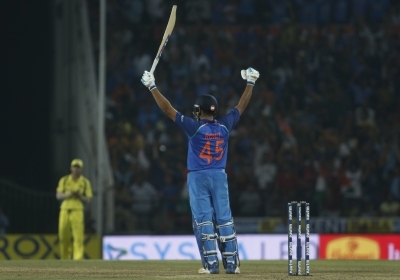 Nagpur, Oct 1 (IANS) Rohit Sharma struck a century as India beat Australia by seven wickets in the fifth and final One-Day International (ODI) at the Vidarbha Cricket Association Ground here on Sunday to end the five-match series on a winning note. 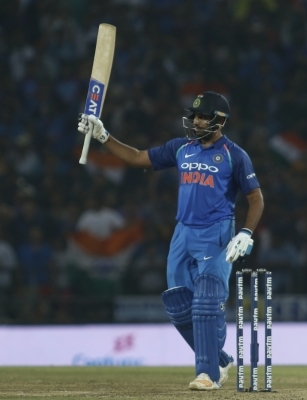 Sharma plundered 125 runs off 109 balls with his innings featuring 11 impressive boundaries and five hits over the fence. This was his 14th century in the 50-over format. 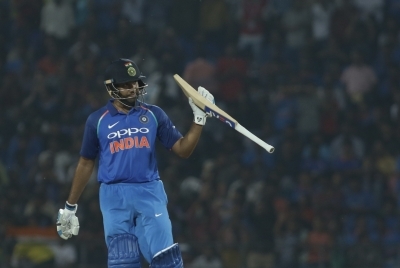 Kedar Jadhav and Manish Pandey then took India past the post, the latter hitting Australian pacer James Faulkner for two consecutive boundaries to bring up the win in style.